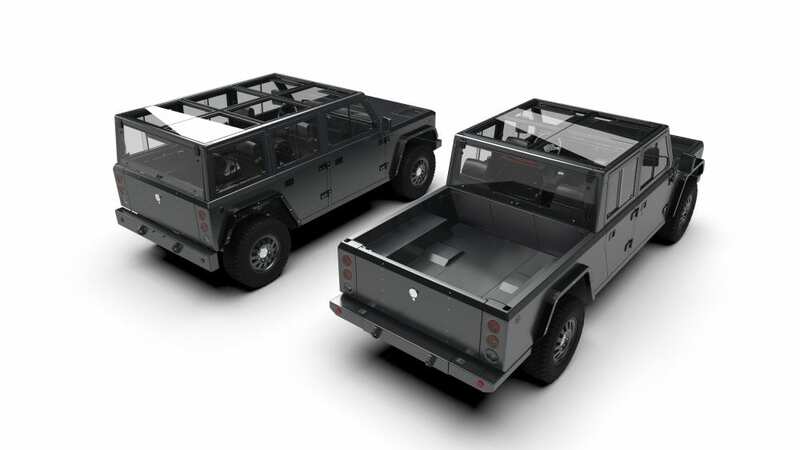 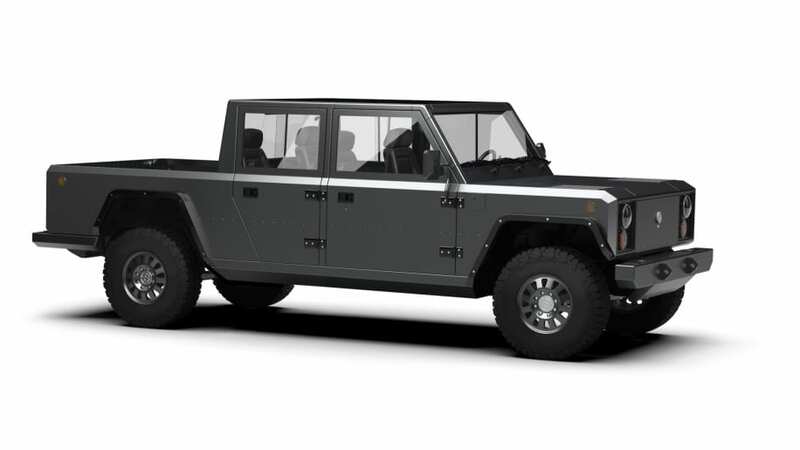 Electric truck maker Bollinger Motors, a New York-founded, now Michigan-based, electric vehicle startup has just revealed their B2 electric pickup truck as a follow up to their Bollinger B1. 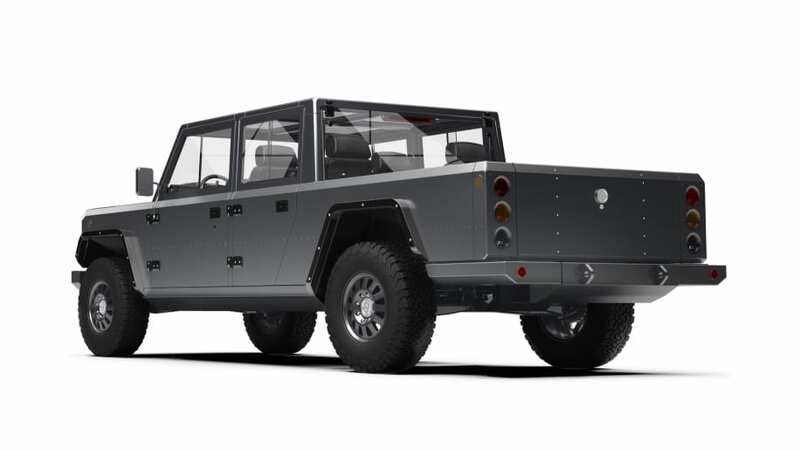 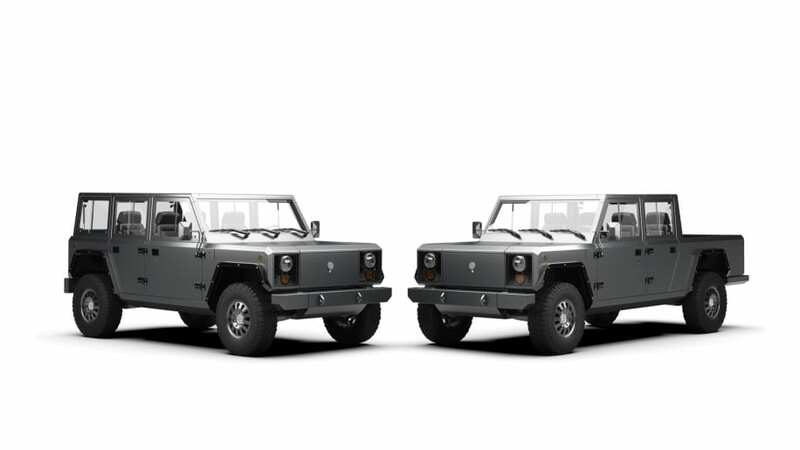 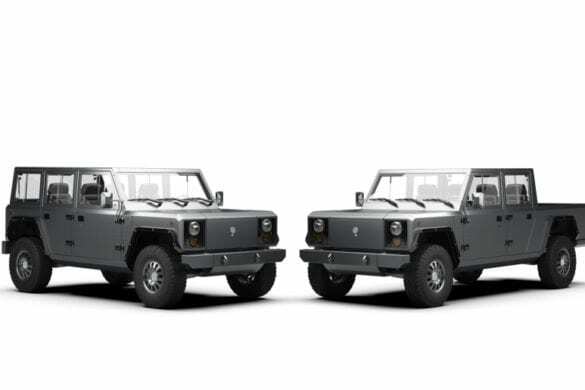 Bollinger’s previous vehicle, the B1, was an all-electric “sport utility truck,” that clearly drew inspiration from Jeep Wrangler and Land Rover Defender models. 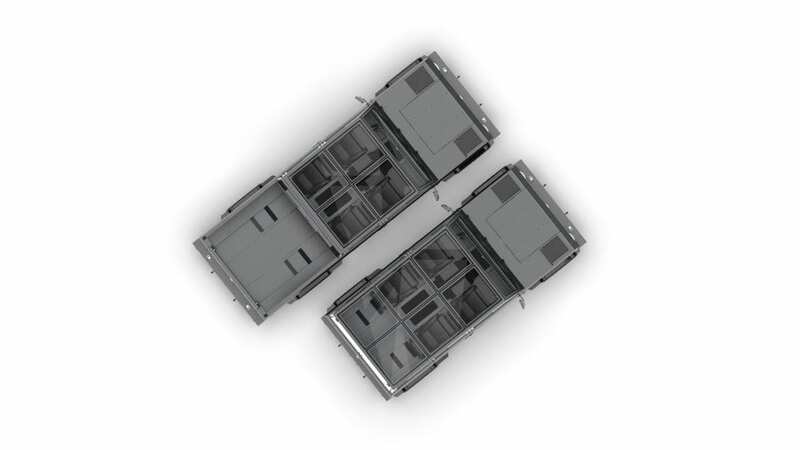 The main difference between the B1 and newly announced B2, is the longer pickup bed, which is 4’ 1” wide by 5’ 9” long, approximately three feet longer than its predecessor. 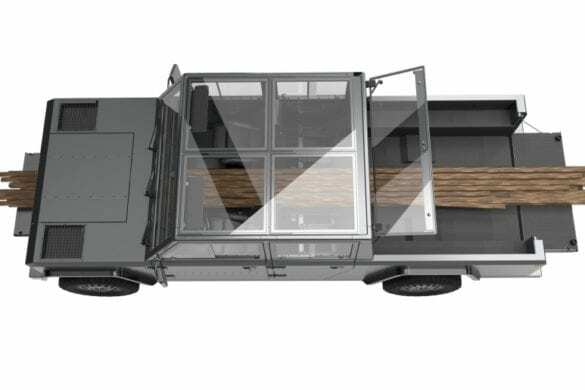 Since the B2 electric pickup truck will be built on the same technological platform as the B1, it will most likely be powered by a 120kWh battery pack, and should have an estimated range of about 200 miles. 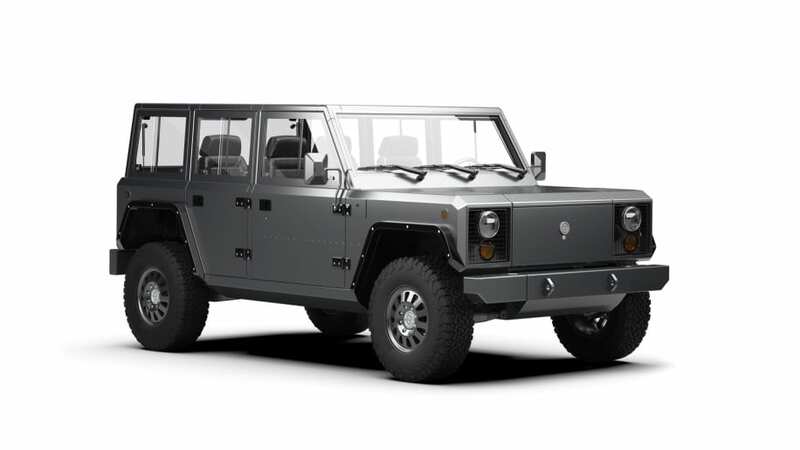 The B2 will also be equipped with dual motors, all-wheel drive, hydropneumatic suspension, and in-wheel portal gear hubs which should allow for some very impressive ground clearance. 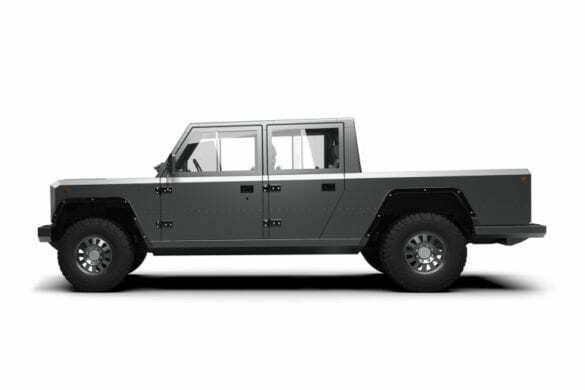 Bollinger has since confirmed that the B2 is a Class 3 truck with a 10,001 gross vehicle weight rating and a 5,000 lbs hauling capability. 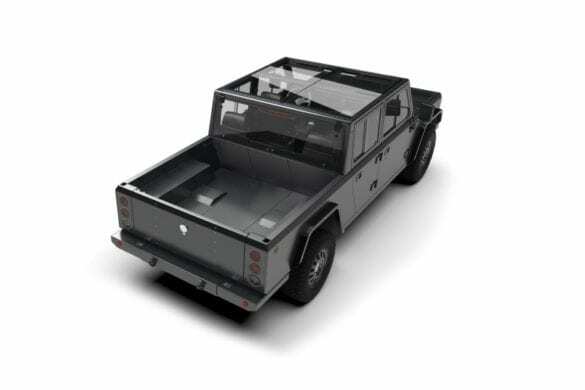 Bollinger has also stated that with the internal cab tailgate down, the B2 electric pickup truck can carry full 4′ x 8′ sheets of plywood. 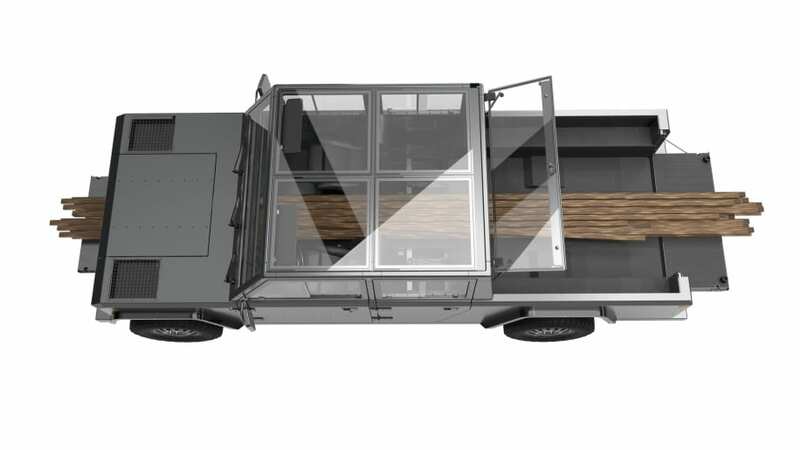 With the rear glass opened, allowing storage to the top of the cab, the electric pickup can fit up to 72 sheets of 4’ x 8’ plywood. 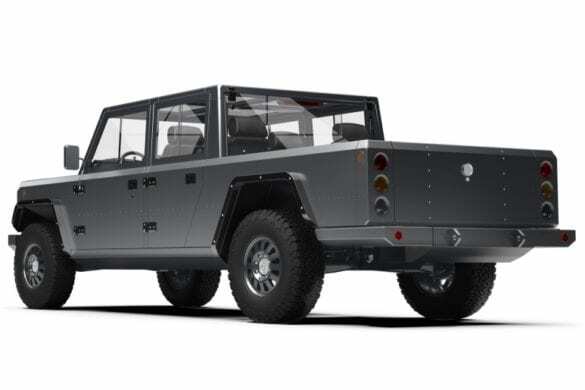 Bollinger plans to manufacture the B2 on the same assembly line as the B1 in 2020, and will announce more information regarding options and pricing next year. 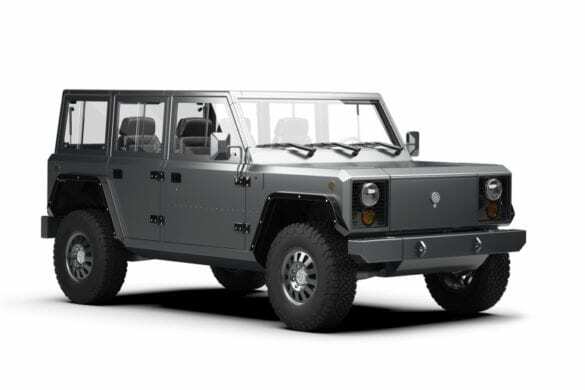 Additionally, Bollinger has asked Elon Musk (via Twitter) if they could use the Tesla Supercharging Network. 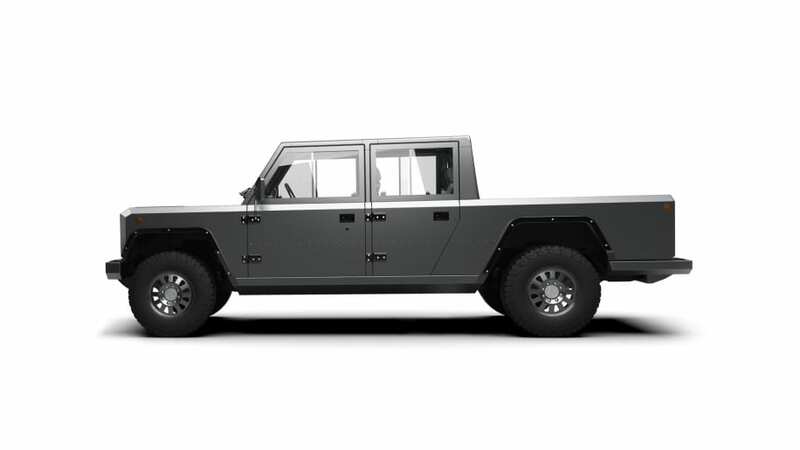 Whether anything will come to fruition from this request is unknown at this time. 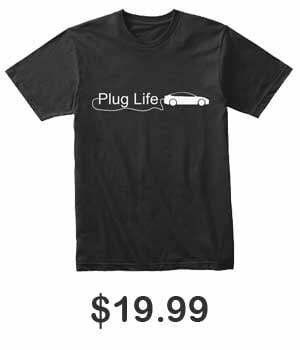 However, it is something to watch out for. 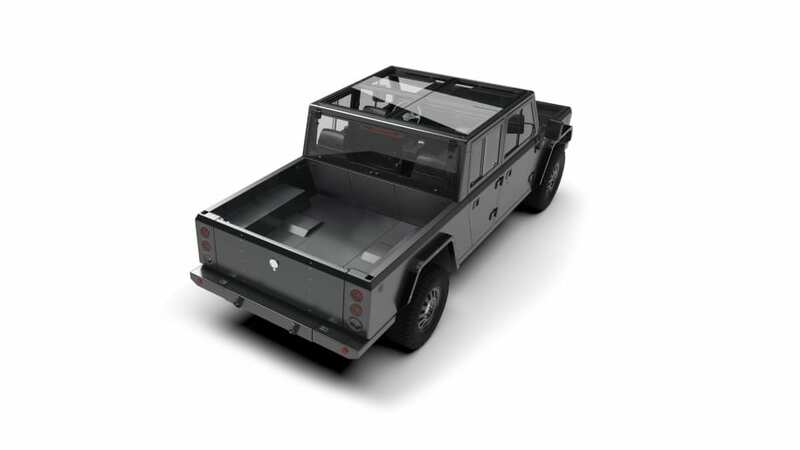 For a closer look at the Bollinger B2 electric pickup truck, check out our gallery below.